Destination weddings are the best kind of two-for-one for you and your guests: a party and a vacation all at once. And when you’re planning one in Vegas, there are endless activities that will amp up the experience. No matter your personality, you can choose the elements that speak to you, from indulging in a delicious feast to lounging luxuriously by the pool. To help you pinpoint your ideal itinerary, we’ve compiled our favorite activities and venues for every type of celebration, whether your guest list is two or 200. 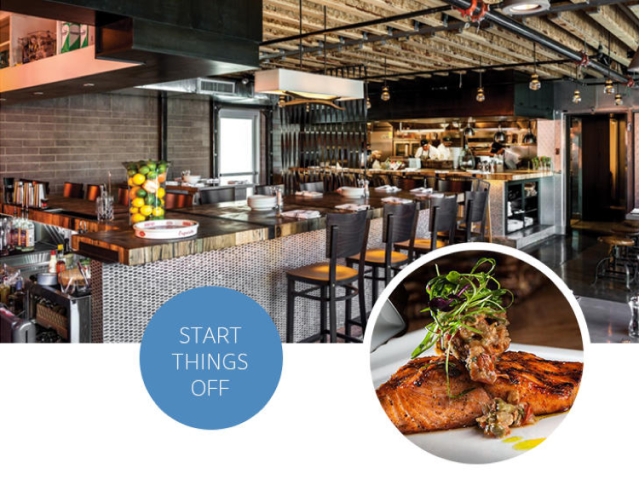 Gourmets hunting for the next great meal will find enough world-class cuisine in Vegas to please even the most discerning palates. Start things off: To get your guests better acquainted with the Vegas culinary landscape, schedule an afternoon with The Walking Gourmet. This three-hour walking tour is sprinkled with stories about the city’s gastronomic history accompanied by plenty of good eats. If everyone has room for more, head downtown for a welcome dinner at Carson Kitchen, the last outpost of rockstar chef Kerry Simon. His legacy lives on at this Fremont-area favorite with intriguing menu items like squid ink spaghetti and caviar deviled eggs. 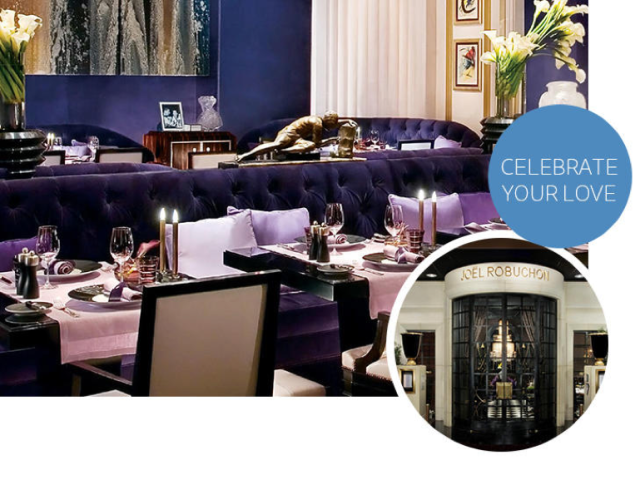 Celebrate your love: The Michelin-starred Joël Robuchon at the MGM Grand Hotel & Casino is the only Las Vegas restaurant with a designated spot for wedding ceremonies. Its lavishly decorated Parisian Terrace serves as an intimate space to say your vows, followed by a five-course tasting menu in a private dining room. Say farewell: You can’t send your loved ones home without one more amazing meal. 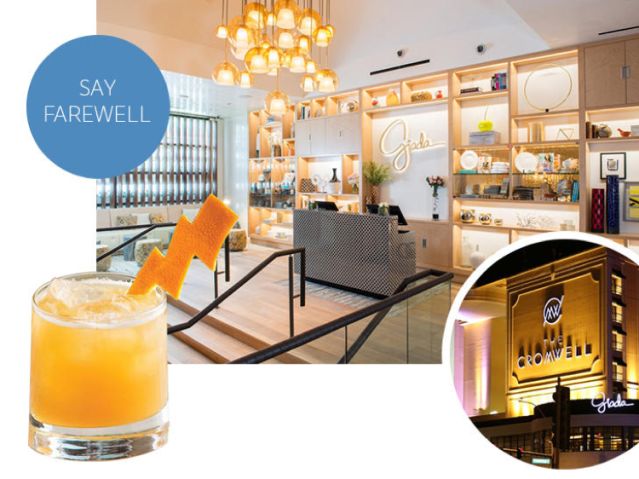 A good-bye brunch at The Cromwell Las Vegas’ restaurant Giada, TV chef Giada De Laurentiis’ signature spot, is a must for any true Food Network fan. 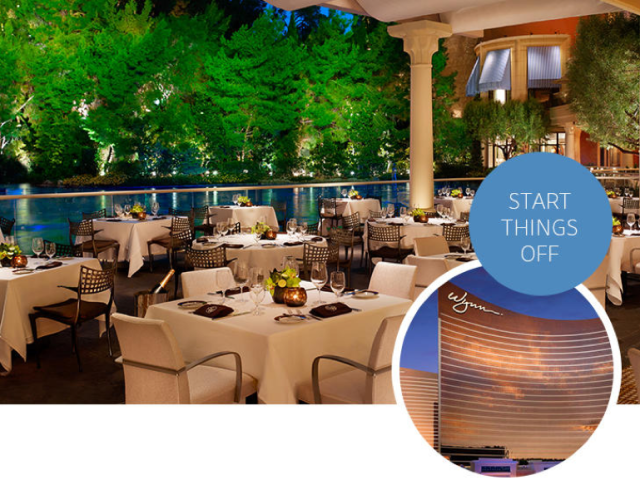 Las Vegas is no stranger to luxury. There are plenty of spots where to-be-weds and their guests can feel pampered like the VIPs they are. Start things off: Kick off your ritzy weekend with that classic symbol of high-class dinners: the steakhouse. SW Steakhouse at Wynn is one of the best on the Strip, but its waterfront view of the nightly Lake of Dreams show really puts the experience over the top. Follow your decadent night out by inviting your guests to a relaxing day at the spa. The Sahra Spa & Hammam at The Cosmopolitan is as fancy as it gets. You can even book your own penthouse with a steam room, hydrotherapy tubs and a private treatment area. How luxurious is that? 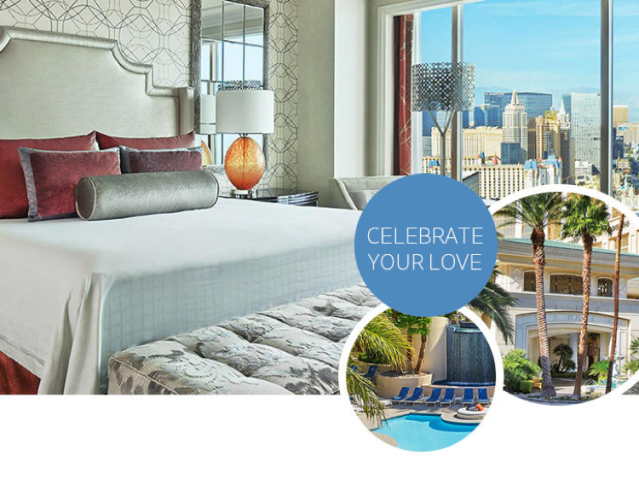 Celebrate your love: Weddings at the Four Seasons Las Vegas are known for their impeccable service and serene settings. With multiple venues in one location, the Four Seasons lets couples customize every aspect of their day and benefit from some serious red-carpet treatment. Say farewell: What could be classier than ending your wedding weekend with a fancy French brunch? Bouchon at The Venetian features the world-famous cuisine of award-winning chef Thomas Keller. Enjoy brioche French toast, smoked salmon and decadent pastries while people watching on the patio. Got wanderlust running through your veins? Pay homage to all the places you’ve been (or dream of visiting) at a wedding that spans the globe without ever leaving Las Vegas. Start things off: Transport your guests—or at least their taste buds—to Thailand with a rehearsal dinner at Lotus of Siam. This James Beard Award–winning restaurant focuses on authentic northern and eastern Thai cuisine, some of which you might not see elsewhere in the US. 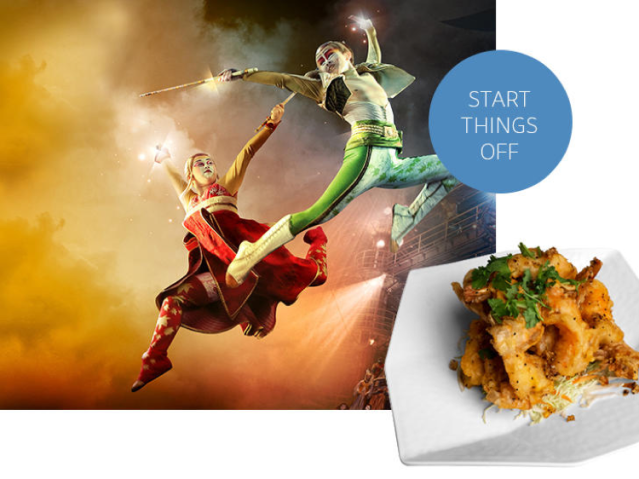 Continue your cultural tour by catching a performance of KÀ by Cirque du Soleil® at the MGM Grand Hotel & Casino. The thrilling acrobatics, martial arts and rotating stage are sure to leave your jaw on the floor. 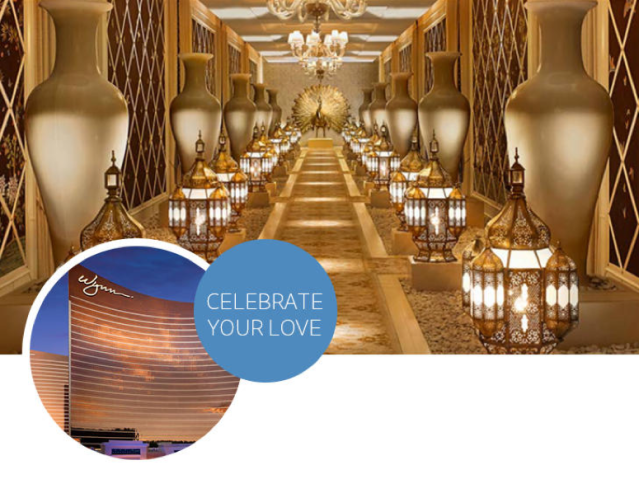 Celebrate your love: The ceremony venues at Wynn provide a luxurious, private getaway from the hustle and bustle of the Strip. For an Asian-inspired setting, the Zen Ceremony in Tranquility Hall features an aisle lined with sparkling lanterns and a giant gold peacock. If you need space for more guests, the Primrose Garden serves as a lush, green backdrop for your vows. 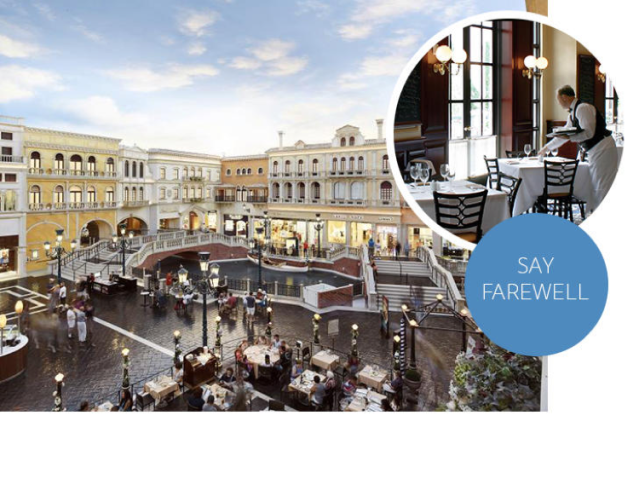 Afterward, let your reception take you to Italy via TREVI at The Forum Shops at Caesars. The atmospheric restaurant overlooks the Fountain of the Gods in the Forum from a balcony worthy of a Roman holiday. Say farewell: The last stop on your global wedding tour is Hawaii, by way of some classic ’60s kitsch. An after-party at Frankie’s Tiki Room will leave your guests digging the laid-back, tropical vibe surrounded by some classic artifacts of Vegas history. 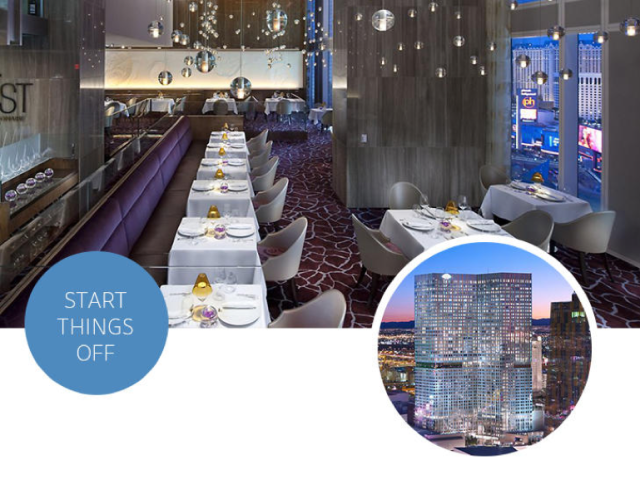 If you and your fiancé feel more at home surrounded by clean lines and modern art than over-the-top opulence, Vegas still has you covered. Start things off: Make a jaw-dropping (and mouthwatering) first impression by inviting your guests to dinner at Twist by Pierre Gagnaire. Located at the Waldorf Astoria Las Vegas, this sleek, sparkling space is dotted with more than 300 tiny globe lights that seem suspended in midair. The restaurant’s modern take on traditional French cuisine is the brainchild of Gagnaire, a revered French chef, and this is his only outpost in the US. For more fun with your loved ones, rent a poolside cabana at the Waldorf Astoria pool deck, and soak up some of that desert sun in a chic, contemporary setting. Celebrate your love: Connoisseurs of modern art will fall head over heels for the distinctive ceremony space in theGALLERY Featuring Dale Chihuly. Couples can say their vows at any spot in the gallery, surrounded by Chihuly’s world-renowned dramatic and colorful glass sculptures. 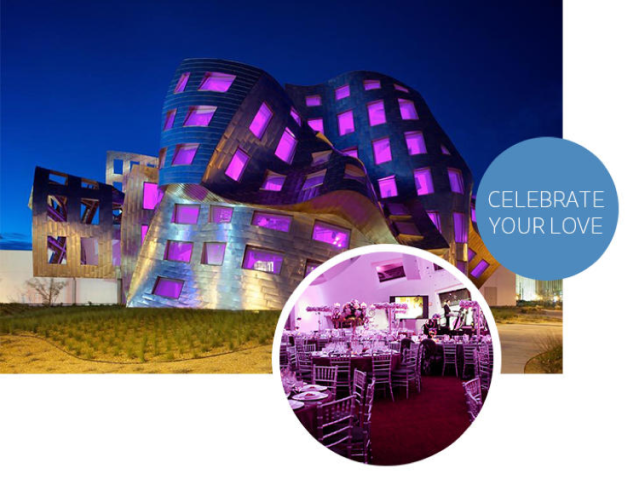 Afterward, dine and dance inside another work of art—the Frank Gehry–designed Keep Memory Alive Center. This soaring structure of steel and windows is an unforgettable backdrop for a reception with modern flair. 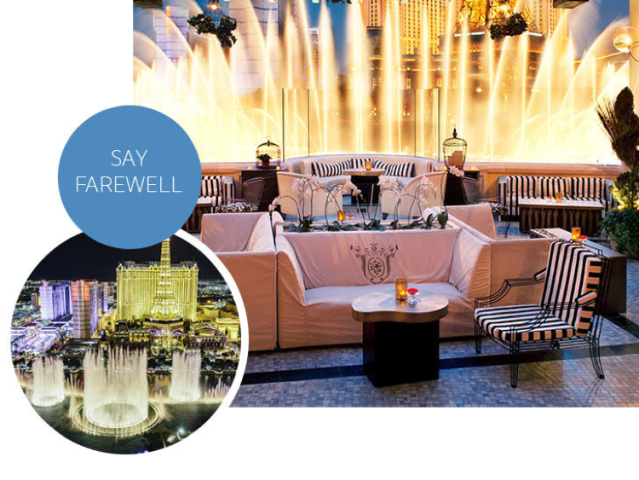 Say farewell: If you’re not ready for the party to end, continue the celebration with an after-party at the Hyde Bellagio. You can send your guests out in style as you finish the evening basking in the glow of the dancing fountains. The Knot and the Las Vegas Convention and Visitors Authority present Match Made in Vegas, a sponsored series featuring unforgettable venues, insider tips and real-life inspiration to help plan your perfect Vegas destination wedding.